I have given the different useful unix commands with its real examples in my previous articles. I have explained each and every unix command thoroughly.In this article i would like to explain one another very important command which is Unix CP Command. I will try to explain Unix CP Command with Real Examples so that everyone will get idea about it. 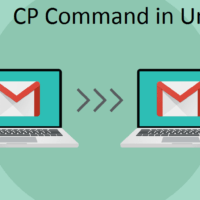 The CP command is most important command in unix which is used to copy the file from one location to another location. In windows systems we have direct GUI to copy the files and folders. But in unix there is no such GUI provided. Unix has the command named ‘CP’ which will copy the files from source and paste it to destination or target. There are multiple syntax of unix file where just the options are changed accordingly.The first syntax gives the Source and target.The second syntax shows that the target is any directory name or folder name.User can copy the one file and give the another name to that file. So third syntax makes the copy of file1 as file2.User can paste the content of file in to newly created file also.Fourth syntax explains about the same. The fifth syntax is CP command is with using multiple options of linux. In this section i will try to different CP Commands with real industry examples. If we are using windows system we are simply use copy and paste command. In linux system we need to use CP command to copy and paste the file or folder.In this section i will explain one option of CP command and its example so that user will get idea about how those options are used in industry. This is most common scenario where user wants to copy the file from current directory and paste the file to another directory. User used to use this scenario where user needs to copy the file from source location and paste it to the target. The above command will copy the file from source and paste it to target which is /tmp. There are multiple scenarios where user wants the copy of the file before making the changes in to the file. User needs to take back up of same file and need to place it in same folder. In windows it is simple to make the copy;whereas in unix user needs to use the CP command to perform that operation. The above CP command will make the copy of Amit.txt in same working directory. While working with this scenario user needs to give correct source path as well as destination path.The copy of file will be stored in the Backup folder in above example.These scenario is used in many real world examples to take the backup of file. This is also most commonly used scenario. We need to copy multiple files from one folder and paste it in to another folder. The above command will copy all the files from folder named Amit and paste it to the backup folder. This command is used to make the copy of the project. Here *. * means all files in folder named ‘Amit’. Scenario 5: Copy Specific type of set of files and paste it. The above command will copy all the jpeg files from folder named Amit and paste it to the Backup folder. If user wants to overwrite the files in specific manner then user needs to use -i option in linux systems.After using the -i option the system will ask you for file overwriting. If you want to overwrite the file press y or if you dont want to overwrite the file press ‘n’. Scenario 7 : Taking the backup of the file before copying it. It is always needed to take a backup before copying the files. -b option of linux is useful to take a back up of the file before copying it. User can give .bak extension to backup file. To specify the name for backup file user needs to be used -S option. To create a hard link instead of copying with the cp command pass the -loption. Instead of copying the file a new file will be created that is a hard link to the data on disk. Here’s a primer on hard and symbolic or soft links. The above statemet has directly created hardlink instead of using the copy. Sometimes there are scenarios where user needs to preserve the attributes of file.Attributes means the permissions,User Group and ownership.To preserve file attributes (permissions, group and user owernship) pass the --preserve option along with the attributes to be preserved. By default mode, ownership and timestamps will be preserved. User can be able to check the file name which are copied.To show files that are being copied pass the -v option to the cp. This prints the files and folders that are being copied to standard output. In the following example the directory foo is copied as Pradnya along with the contents. These are above some most important scenarios while using the CP command of unix.If You want further information related to Unix CP command kindly comment it in to comment section.